I was pleased to see that this week’s Lectionary readings have included one of my favorite scriptures, which is found an Old Testament book which is by no means one of my O.T. favorites. Lamentations is largely a gloom-and-doom book, probably written by that gloomy and fiery prophet Jeremiah. Whoever wrote it was a witness to the destruction of Jerusalem and the Temple, and the very way of life of God’s people. Those people had angered God by turning away from God with all their breaking of God’s laws, and God definitely showed his displeasure with them, as we see in Lamentations. However . . . as rough and tough as God appears to be in so much of the Old Testament, the Lord’s love, mercy and grace shine through all that raw material, time and again. The love of God never ends. God’s mercies are new every day. Our Lord’s faithfulness is great. Our Lord is good to those who wait for him. It’s good to be still, be quiet, and wait for the salvation of the Lord. What a beautiful, pastoral word for such graceless and merciless times as these. Are you now, or have you ever been, in need of mercy and forgiveness from anyone anyone for something you said or did? Have you ever asked anyone to forgive you for something? Are you thankful that God is so full of love and forgiveness that his/her mercies are new every day? And, don’t you think you should be? 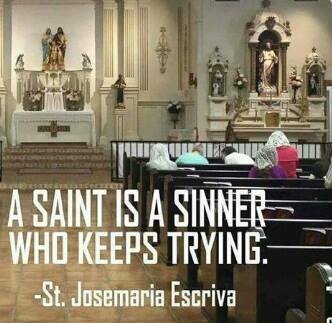 For if we say we have no sin, we deceive ourselves. Philip Yancey, prolific Christian author and contributor to Christianity Today (which Billy Graham started back in the day), wonders how evangelicals can support the gentleman(?) from New York. Little thin-skinned Donald Trump called into Fox & Friends this morning, mightily upset that Hillary Clinton had the gall to mention in last night’s debate that he once called a Miss Universe winner “Miss Piggy” and “Miss Housekeeper,” the latter “title” being an obvious swipe at the beauty queen’s Latina heritage. Of all the issues and of all the problems we have in this country and this world, the man who would be the leader of the free world is upset this morning about his right to denigrate “fat” women. Every time I watch this “gentleman from New York, I can’t help but believe he needs some anger management. 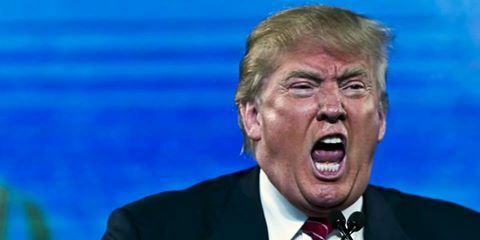 Since this insecure little man Mr. Trump emerged as a candidate last year, I’ve been as concerned about the future of American Christianity as I am about the future of America, period. What does it profit an evangelical if he or she is willing to sell the soul. I do thank God that a number of conservative evangelical leaders, like Russell Moore of the Southern Baptist Convention and the great evangelical author Max Lucado, have had the courage to speak out in the wilderness about Trump’s lack of anything remotely resembling Christian values and sensibilities. 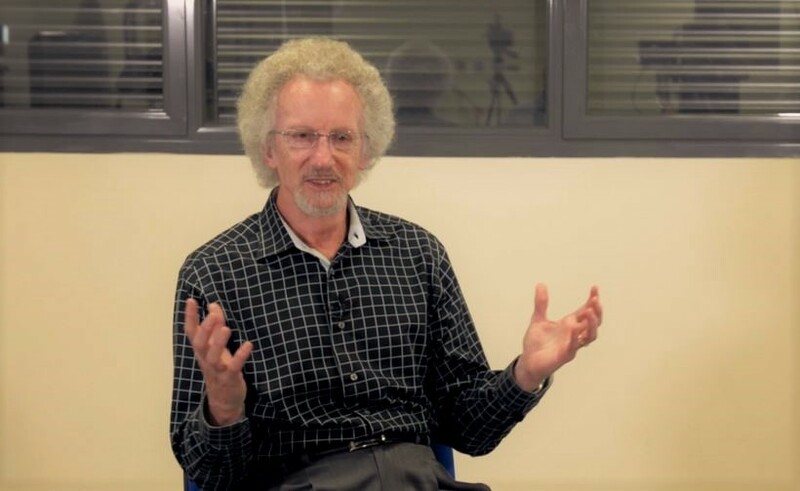 We can now add the longtime writer for the evangelical magazine Christianity Today, Philip Yancey, to the chorus of Christians speaking out against Christian support for Trump. “I am staggered that so many conservative or evangelical Christians would see a man who is a bully, who made his money by casinos, who has had several wives and several affairs… That they would somehow paint him as a hero, as someone that we could stand behind,” Yancey said in an interview. “I will just say it out loud. I can understand why maybe you choose these policies that you support, but to choose a person who stands against everything that Christianity believes as the hero, the representative, one that we get behind enthusiastically is not something that I understand at all. Amen to that and Happy Holidays, ya’ll. REGARDING TULSA . . . This we know: a white police officer gunned down an unarmed black man on the streets and is facing a manslaughter charge. The video evidence is so clear that the officer should be denied a fair trial and sent straight to prison to serve a maximum sentence, right? I mean, if there were any justice in this country, she’d be serving hard time already, right? The officer clearly gunned him down so she’s guilty and ought to go straight to prison, right? Look, I can certainly understand the Terence Crutcher family’s pain and outrage in the Tulsa shooting. I can’t imagine the pain they’re feeling. It’s a god-awful disturbing case. But I’m also disturbed by the position of the family, and so many others, at this stage in the judicial process, that even though an indictment is good and fine and they’re happy about that, the family has said they want a conviction and aren’t going to settle for anything less. Whoa. That translates to, “We demand a conviction and the constitution be damned.” There’s also an implied threat in there. We want a conviction or else—what? I’m sure constitutional rights aren’t on their radar screen in all that excruciating emotion they’re processing. In my journalism career I covered more heinous, outrageous murder and capital murder trials, from start to finish, than I care to remember. I learned early on that no matter the seeming amount of “mountains of evidence” or “clear-cut evidence of guilt” there appears to be, things aren’t always what they seem once a case with its many and very many details, large and small to tiny, are scrutinized in a courtroom. I’ve also seen a lot of accused and indicted people (mostly people of color for sure) get railroaded by overzealous cops and prosecutors who are more like persecutors. We all know that ours is a most imperfect judicial system that hasn’t always worked well for minorities and the poor folks who can’t afford the best defense attorneys. But we also know, or should, that it beats every alternative to justice by miles. I see people in Belize every day who are charged with crimes in a day’s time who go directly to the national prison before sundown and wait months upon many months before going to trial with precious little defense–unless they happen to be a rich Belizean. 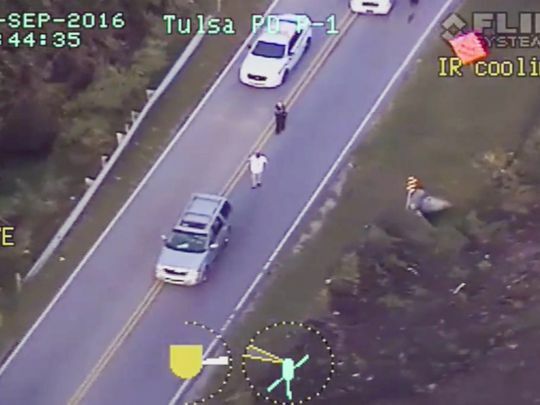 Anyway, I don’t care how “clear-cut” the video evidence in Tulsa appears to be, the officer who has been charged has a lot of pesky constitutional rights: the presumption of innocence (above all) and the right to a FAIR trial, for example. 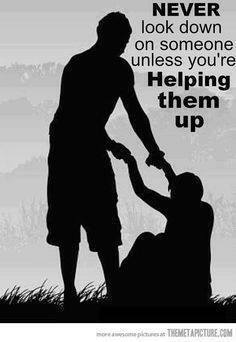 That would be the same rights the Crutcher family and all of us have. The officer in Tulsa may or may not be innocent of the charges, and I’m tempted to say she’s probably guilty as charged, but I can’t. As for the case of an African American in Charlotte being gunned down–that case is about as clear-cut at this point as a mud fence. I mentioned a few posts ago that I had what I’ve come to call “my orphan book” ready for immediate publication before the publisher went belly up, leaving me in the lurch. My wayward little book’s Table of Contents. It was ready for print and then . . . lo God laughed at my plans. I’m hoping to salvage the manuscript and get it “self published” by WestBow, a Christian book company that requires fees paid up front to publish and market books. I’ve set up a GoFundMe account in hopes of salvaging the book in a somewhat timely fashion, since it cites some facts and figures that do have a certain amount of timeliness. Self publishing allows me the chance to get the manuscript printed and ready for publishing in a relatively short time while it’s fresh. 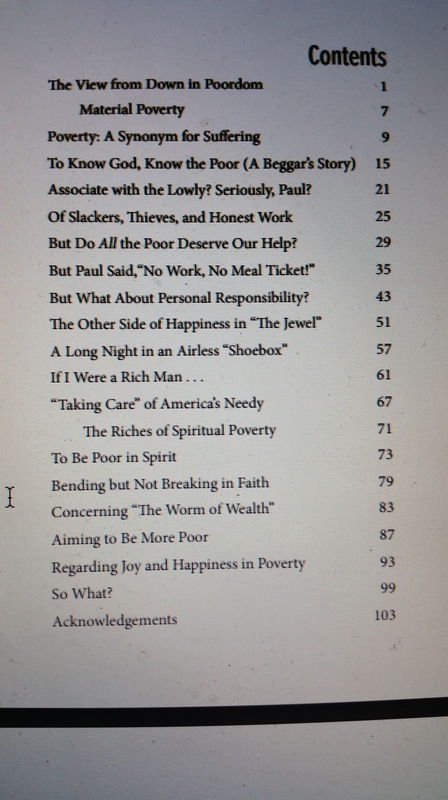 The book–The View from Poordom: Reflections on Scriptures Addressing Poverty–could possibly be printed up and ready for sale before the end of the year. With the GoFund account, I’m now more than halfway to my goal of $1,600 thanks to a little help from my friends. I’m appealing to you who follow the blog here to consider a donation as I live a very simple life on a very tight budget and, frankly, can’t afford the whole cost for self publishing. However . . . I will be contributing no less than $400 out of my pocket, maybe more, depending on the final amount of donations. So I am putting up some of my own skin. All I have to offer donors is an acknowledgment by name on the Acknowledgements Page (except those who wish to remain anonymous as one donor has) and my eternal gratitude. Many thanks for your consideration to this appeal. As I’ve said before, the book has been a labor of love for me, and I think could be a good read for spiritual growth or for group discussion and study. I’ve never been poor, hungry, or adrift in a sense of hopelessness in my much-blessed life. Yet poverty has always felt personal to me. My mother, born a mere fourteen years into the twentieth century, was abandoned as a child—along with her sister, brother, and mother—by her father. This traumatic event occurred in a dusty, rough-and-tumble Texas town, when times were hard and life was especially punishing for a barely educated single mother like my grandmother. To escape the hardship of life on her father’s farm, she got married and had a baby when she was sixteen years old. As was common at that time, her father wanted as many children as he could get for farm labor. My mother knew first-hand what it was like to be sleep-deprived and exhausted from hunger and malnutrition. She always said that just as bad as the constant hunger and weariness was the indignity of begging for leftovers at back doors of townspeople at mealtimes. After all, other kids from her school were at those dinner tables, and kids can be hard on each other. The town’s well-to-do kids, at least in her experience growing up, were especially hard on the poor kids who had ragged clothes and pinching-tight shoes with holes in the soles. “Poordom”–I always thought there was a book to be writ from that word and I finally wrote it. Here’s another sample, the opening of Chapter 1. An American friend of mine asked me the other day to pray for a couple who lost their beloved dog to cancer. She mentioned that this very poor couple never had the money to take the pet to a vet. It had to be heartbreaking for them to watch the dog suffer, and of course it’s a tragic thing that the dog himself suffered. Anybody who has ever had a pet knows that animals can be family, too. But so it goes when one lives in Poordom. The poor face struggles and losses that we who are well-to-do never think about. The lack of money for vet care, for example, is something that never crossed my mind until my friend back home mentioned that poor couple’s loss of their pet to cancer. 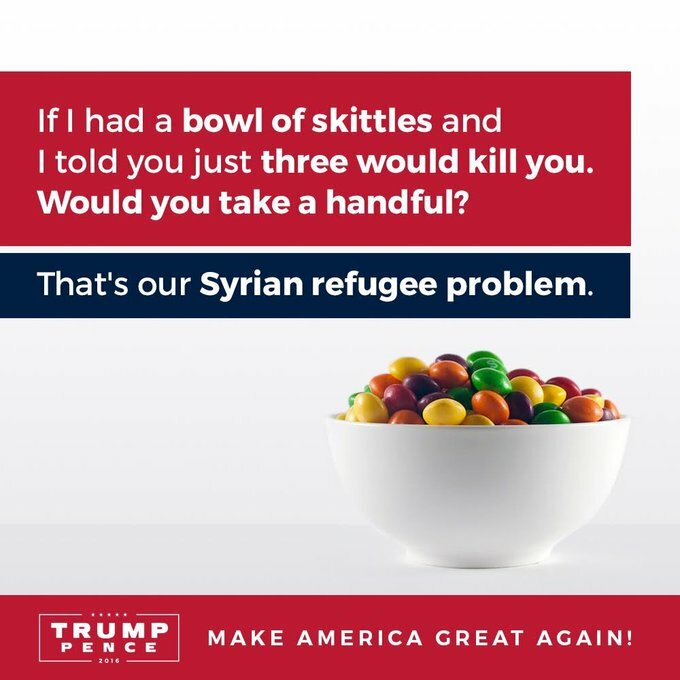 This is grossly misleading, not to mention distasteful tweet put out by Donald Trump Jr.
I’m still reeling from a, uh, tasteless tweet you published comparing Syrian refugees to Skittles, the candy. In addition to being tasteless and dehumanizing, the tweet is so much misleading propaganda and fear-mongering. But that’s the least distasteful thing about your tweet to me as a Christian. If you and your Dad and other family “surrogates” have some kind of rational, viable idea as to what to do about these millions of oppressed refugees–including the many and very many parents whose children have died in desperate attempts to find refuge from sure death back where they came from–that would be good. These are children, not Skittles. Meanwhile, I pray that you and your family will come to understand how irresponsible and reckless you and your family are with all the demeaning, denigrating, dehumanizing and yes, “deplorable” ways you speak of so many masses of vulnerable people in the U.S. and around the world. I pray that you will venture out of the secure, insular, Trump Tower bubble world that you and the family have lived in your whole lives and venture into places like refugee camps–places where you could get a firsthand look at some of the suffering that goes on in the world. 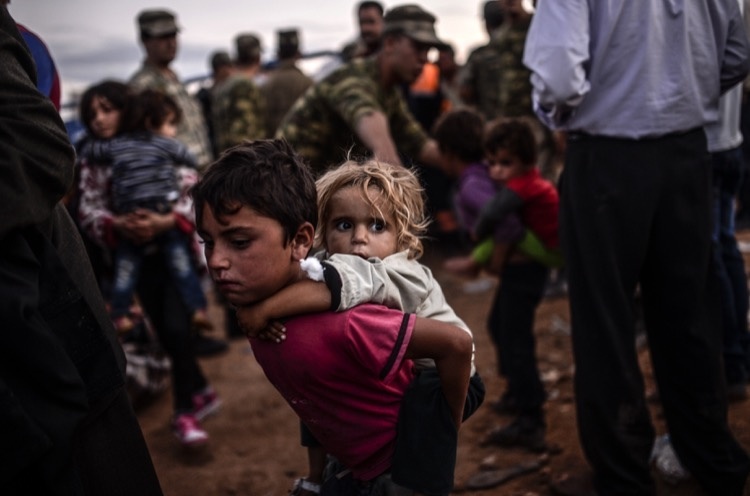 Places where you could engage “refugees on the ground” for days, long enough to see the anguish and hear the stories of people in this broken world who, like you, love their families and want the best for them. This could be an informative and enlightening venture that might shake up your entire world view, which is obviously quite narrow. Places like refugee camps have never been part of the Trump Empire’s orbit. In Christian language, such ventures are referred to as “getting out of your comfort zone.” Venturing into another, less comfortable zone than that to which you’re accustomed builds empathy and compassion and intellectual growth to-boot. I pray that you will stop and think before you denigrate or demean one more person in this serious world with some silly “tweet” that adds nothing to serious political and social discourse–language that is long on crushing negativity and short on seeking solutions to so many problems and so much suffering. The denigrating, desensitizing and extremely un-Christian language that you and your Dad use endlessly, even as you surround yourself with people purporting to be Christian leaders, is helping nobody and nothing in this serious and needy world. I pray that you will see the light and be as the light. I pray that you will practice grace and resurrection and speak of human beings in positive, uplifting language to a hurting world from the high-profile pulpit you’re privileged to speak from. *A personal note to readers: As I mentioned in a recent post, I’m trying to raise funds to self-publish my book, The View from Poordom: Reflections on Scriptures Addressing Poverty. The book was supposed to be in print and e-book form in the market by now but was pulled at the last minute when my publishing company went belly up. I’m hoping to get it published by WestBow, a quality Christian publishing company, before the year is over. I cite facts and figures that are somewhat timely and hope to get the book out while those facts and figures are fresh. “Blessed are the peacemakers,” said Jesus. I’m for peace — and it with justice. That’s not the peace of Jesus we find in the gospels, although you wouldn’t know it to hear so many puffed up, self-appointed, or media-appointed American “Christian leaders” making so much noise in the political arena. Retribution/revenge is not the peace of Jesus in the gospels and it’s not the peace of the Apostolic Christians (i.e., Peter, Paul and all the leaders of the Christian “Way” who developed the church). We bring peace to everyone around us when we have peace in our hearts, thereby bringing much-needed peace into this broken and violent world of broken and violent hearted people (and that includes you and me), all in need of the healing powers of God’s love, extravagant grace and tender mercies. Of all the people who want peace and justice to prevail in our country and the world, we can and should be carrying the torch for peace, not the torch of violence. Because there’s no news except whatever “news” is generated by the hyper-cynical manipulator running for President, a sizable portion of the beautiful state of “Sweet Home Alabama” has been trashed because of a pipeline bust. 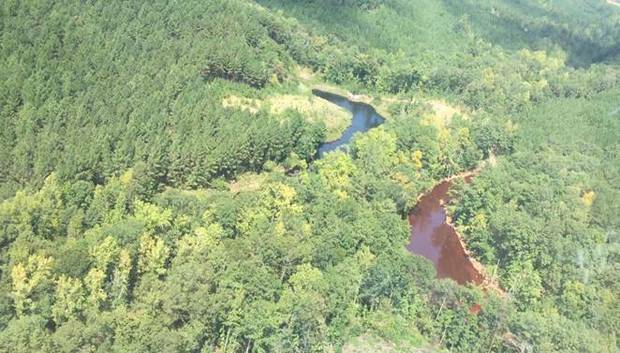 In other news: Alabama and Georgia have an emergency on their hands due to a ruptured pipeline. The leak of hundreds of thousands of gallons of refined gasoline in Shelby County is expected to drive up fuel prices across the Southeast and cause fuel shortages. About 500 first responders trying to deal with this environmental disaster are putting their health and safety at risk in the cleanup. God created the heavens and earth and declared that it was good–good enough to provide for all the needs of humankind. Yet the trashing of God’s green earth is so normal that it hardly makes news or alarms anybody into pursuing alternatives to fossil fuel with any sense of urgency. God’s creation is being “crucified” and the Earth calls out for emergency care–emergency energy alternatives, that is. Yet it’s easier to sloganize with “drill baby drill!” sound bites–and hope it doesn’t happen in your back yard. I don’t pretend to know all the answers to all these environmental disasters of our making. Air and water pollution and climate change are political and social issues, but I see them primarily as spiritual issues. When we mess with Mother Earth, we’re messing with God. It behooves us and our children and their children’s children to start showing God’s creation some serious mercy.